Currently there are 3,834 decks in the EDHREC database running Cancel, and not a single one of them should have it as part of the 99. Welcome to In the Margins, a semi-regular column where I focus on making marginal upgrades to your Commander deck. My name is Dana, and I’m primarily an EDH player. I’ve been playing Commander-style games as long as I’ve been playing Magic; my original friend group primarily played three-color singleton decks back during the Revised era. When Gen-Con was still held in Milwaukee we all picked up Elder Dragons for our decks when Legends was released. I left the convention pleased with having acquired a Vaevictis Asmadi at the low, low cost of two Bayous. Marginal upgrades aren’t nearly as exciting as picking up a fifty cent Elder Dragon for three hundred dollars in ABUR duals, but when taken en masse they add up to a much stronger whole. A minor mileage improvement to a new car model probably isn’t worth noting, but when combined with better handling, a new digital computer console, an updated body, and increased reliability then you have a whole different vehicle. The same principal holds true here; one small change probably won’t make a difference, but a lot of decks have room for tiny incremental upgrades that add up to a better deck. Specifically, I’m going to focus on affordable, non-obvious upgrades. Sure, you could probably remove that Thornwood Falls for a Tropical Island, but that change that isn’t financially viable for most people, and it is also fairly obvious. Broken Concentration: Broken Concentration is probably the weakest of the “better than Cancel” cards. It’s still better than Cancel, but not by much. It’s really only going to be something you take advantage of in a situation where you want to counter a spell while simultaneously having an instant effect with a discard cost attached. Let’s say for example somebody casts an unwelcome Wrath of God that will wreck your current board state. In this situation you can discard Broken Concentration to pay a discard cost while still countering the spell. An example would be casting Frantic Search, discarding Broken Concentration to the discard trigger, then countering the Wrath by paying the madness cost on the discarded Broken Concentration. How often is that ever going to be relevant? Admittedly, not very often, but does that matter? If you use it once every thousand games then that is still upside not afforded by Cancel, and it does so with no downside. Yet despite this Broken Concentration has a home in a mere 278 decks making it 7% as popular as Cancel. 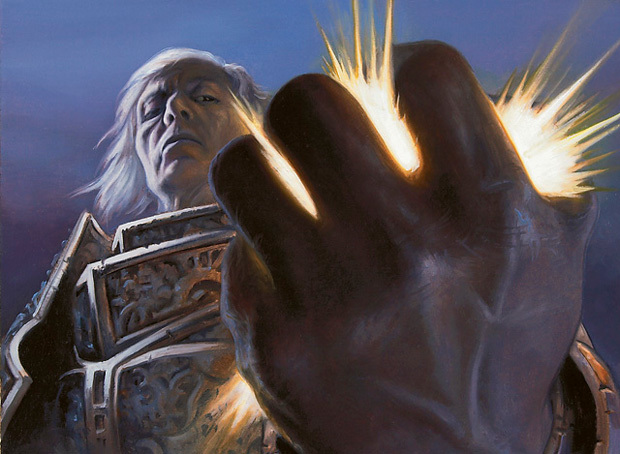 Jace, Vryn’s Prodigy is probably the Commander that most benefits from Broken Concentration thanks to his activated looting ability, but of the top ten most recently updated decks on EDHREC featuring him as a commander two were running Cancel over, among other things, Broken Concentration. Disallow: If Broken Concentration is the poorest Cancel replacement, then Disallow is the gold standard, the LeBron James, the fourth season of Breaking Bad. It counters a target spell just like its strictly-worse counterpart, but it also can hit a target triggered or activated ability. It pretty much counters anything you’d want countered. Forget running Disallow over Cancel; you probably should be running Disallow, period. It’s the best counter introduced to the format since Swan Song. Currently it makes the cut in 2,985 decks in the EDHREC database, but as it has only been in print about four months we can chalk some of that up to people who don’t have a copy yet or who haven’t updated deck lists. Voidslime is in 2,573 decks, and Disallow is an easier to cast Voidslime that fits into more decks. That number should grow daily from this point on because there is no reason not to make the upgrade. Dissipate: If Cancel exiled the countered spell you’d have Dissipate. A case can be made that you don’t want to always exile the spell. You may not want that Avacyn, Angel of Hope hitting the board for example, but you might be really interested targeting it with Animate Dead next turn. While that happens, does the amount of times you actively want your opponent’s spell sitting in their yard outweigh the times you want it gone? Short of running a deck dedicated to messing with other people’s graveyards, I’d say the answer to that is no, and even then I’d say more often than not it is worth losing a card you might want to try and play with to make sure your opponent can’t do the same. The times you want the spell gone outweigh the times you want it sitting there in the ‘yard, and that’s the kind of marginal advantage we want to find. Dissolve: It’s a hard counter with a scry 1 trigger attached at no additional cost. Dissolve is one of the purest examples of “better than Cancel” because there is just no conceivable situation where a free scry trigger isn’t just pure value. According to math done on Reddit regarding the Theros temple lands, scry 1 is worth between .5 and .6 in card draw value, and you’re getting it on a card that does the exact same thing at the same cost as Cancel. Even if it does nothing more than decrease or increase the likelihood of a land draw, or even just reveal to you your next draw that is better than not doing that or not getting that information. Dissolve is currently fairly popular on EDHREC residing in 5,372 decks in the database, but in looking at the three most popular mono-blue commanders (Talrand, Azami and Teferi) over 150 of those decks are running Cancel and not Dissolve. Forbid: Okay, maybe I lied about Disallow being the best Cancel replacement; Forbid is insane. It’s Cancel with the option to return it to your hand at the cost of discarding two cards. Who cares if you only use the buyback once every ten casts? That’s still nuts value for zero downside. And let’s not kid ourselves; there’s a ton of decks where a Forbid in hand just ends the game. Good luck getting off a spell while the Edric or Azami player refills their hand with buyback fodder. Forbid is currently one of the 99 in 3,651 decks on EDHREC. Now I understand Forbid’s first and only non-promo printing was almost twenty years ago in Exodus, thus making it a bit hard to find, but that’s no excuse for it seeing only slightly less play than Cancel. There are even 21 Azami, Lady of Scrolls and 53 Edric, Spymaster of Trest decks running Cancel over Forbid, and that is a terrible mistake. Hinder: Oh, Hinder, how the mighty have fallen. I mean, you haven’t fallen far enough to keep you from being better than Cancel, but you’ve fallen none the less. Hinder counters a spell, and then puts the card on the top or bottom of its owner’s library, either wrecking their chances to top deck a win, or tucking the spell safely to the bottom where it is much harder to recur than the graveyard. Once upon a time, Hinder was feared far and wide for its ability to bury your commander, perhaps permanently, in Grenzo’s dungeon at the bottom of your library. Now with commander tuck going the way of rational political discourse, it is just another card that is better than Cancel. As with Dissipate are there times you may want the spell in the graveyard? Sure, but I highly doubt the times you want it there outweigh the times you want it gone so it can’t be recurred by Tasigur or Sharuum. Scatter to the Winds: In this case it’s a Cancel with the option to cast it for 4UU and put three +1/+1 counters on a land, making that land a 0/0 elemental creature that still counts as a land. I’ve seen Scatter to the Winds actually win a game in a situation where Cancel would have been a loss. It was against a Vorel of the Hull Clade +1/+1 counters deck where the pilot countered a combat trick using Scatter, animated a land as a blocker, which got six counters thanks to Doubling Season, blocked and killed the attacking creature, doubled the counters with Vorel, then sacrificed the land before the end of turn to a Greater Good which let him draw twelve deep and hit a win-con for the next turn. Now that kind of crazy synergy is not going to happen all the time, but it will happen none of the time with Cancel. Despite this upside, Scatter is used in just over a thousand decks. Even more bizarre is the case of Noyan Dar, Roil Shaper, a commander whose entire shtick is animating lands and giving those lands counters. There are 21 Noyan Dar decks in the database running Cancel and not Scatter to the Winds. Mind blown. It’s not like they’re from different Magic epochs either; Dar and Scatter are literally in the same exact set. Spell Crumple: Spell Crumple, Hinder’s near-identical twin. You can’t put the countered spell on the top of the library but instead have to tuck it safely away on the bottom of the library, and you do the same with Spell Crumple. Sure, you lose access to your Crumple, which you could feasible get back with a well-timed Snapcaster Mage or Archaeomancer, but they also lose the ability to reanimate that Elesh Norn, Grand Cenobite. I know which I’d prefer. The three most popular two-color blue commanders on EDHREC are Ezuri, Claw of Progress, Mizzix of the Izmagnus, and Brago, King Eternal. Of those three commanders, 168 are running Cancel and but not Spell Crumple. Stoic Rebuttal: Simply speaking this is a Cancel that can cost one less to cast if you control three or more artifacts, a bar not terrible difficult to clear even in decks that don’t have an artifact theme or sub-theme. Despite this it is run in half as many decks as Cancel even though it just had a reprint at common in Modern Masters 2015. A quick glance through decks running Stoic Rebuttal shows a heavy bias towards artifact-centric commanders like Sharuum the Hegemon, Breya, Etherium Shaper and Sydri, Galvanic Genius, but the reality is most commander decks able to run Rebuttal are probably running enough artifacts to regularly hit the threshold. And if you don’t hit it? It’s still effectively a Cancel. Yet almost 5% of the Sharuum, Brey and Sydri decks in the database are running Cancel and not running Stoic Rebuttal. Void Shatter: Take everything I wrote about Dissipate, and give Dissipate the devoid mechanic, thus making it colorless. Okay, so you can’t tutor up Void Shatter with Merchant Scroll since it’s no longer blue, which I guess is something that someone somewhere has probably done, but it also can’t be countered by Red Elemental Blast or Pyroblast, something that is probably more likely than you needing to fetch Void Shatter with Merchant Scroll. I will dig a little deeper next time around rather than simply going over the top strictly better replacements for Cancel. Cancel made for a convenient launching point as it is a very commonly used card with a ton of easy upgrades that do the exact same thing at the same CMC. It’s like showing a friend some John Carpenter before dipping into the Dario Argento. Next time around we can get a little more complicated and see what additional value we can find in the margins.